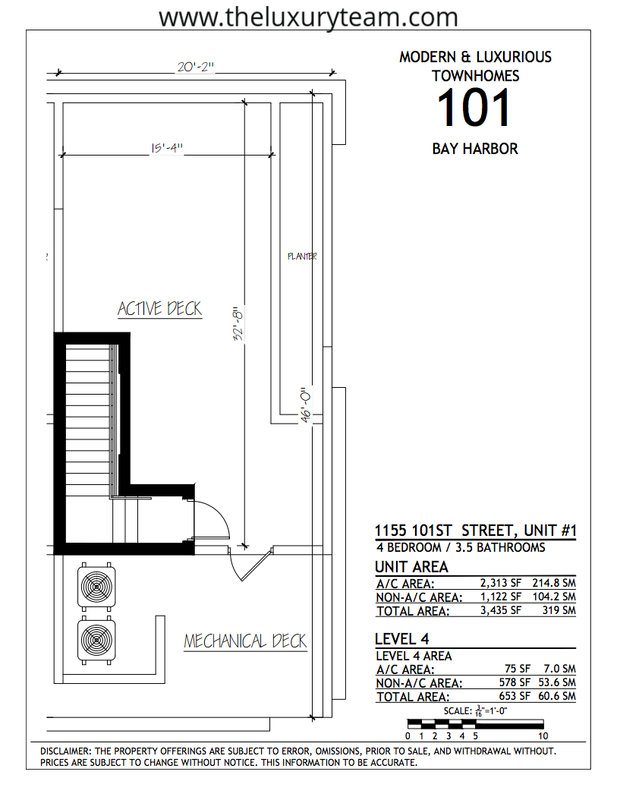 Located in the Bay Harbor Islands, 101 Bay Harbor is a series of state-of-the-art condos being developed by The Puder Group that offers up a collection of residences with spectacular views of the Atlantic Ocean and Biscayne Bay. 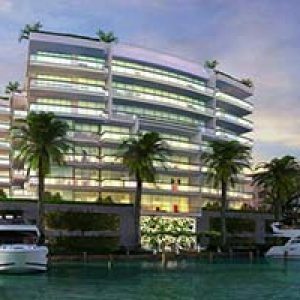 With four levels in each unit, twelve residences overall, 101 Bay Harbor is considered to be one of the most luxurious locations in South Florida. Floor-to-ceiling windows, private terraces, and 2 car garages make these lavish gated residences in the Bay Harbor Islands beautiful and prestigious. 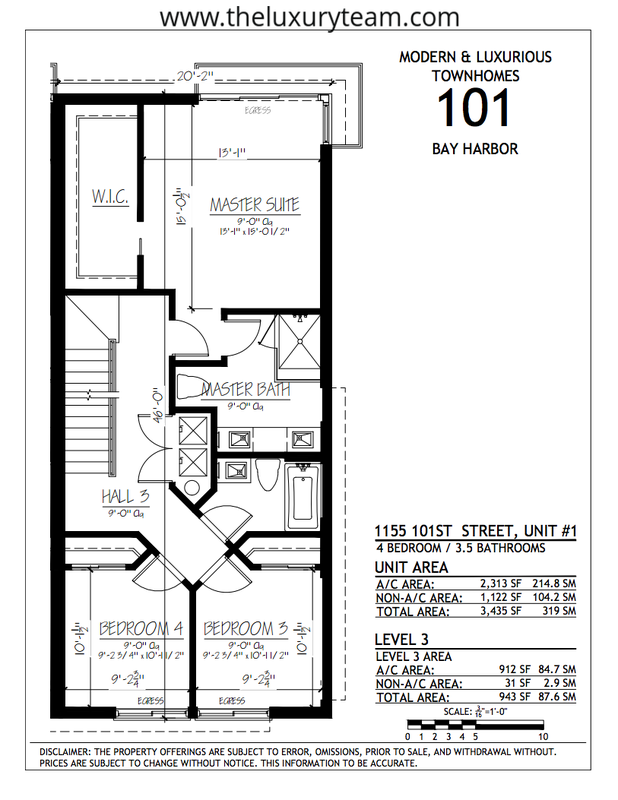 Each extravagant residence at 101 Bay Harbor offers up over 3,400 square feet of living space and easy access to the many shops located in the beautiful Bay Harbor. Personalized residences are tailored to meet each buyer’s individual lifestyle. There are multiple plans to choose from, including 3 bedrooms plus a family room, 4 bedrooms plus a family room, or 5 bedrooms. Private terraces with decorative railings are located in each main living area, and each bedroom. The residences at 101 Bay Harbor, located in the picturesque town of Bal Harbor, are energy efficient and with tinted and impact resistant glass. With solid core doors and sound insulated walls, each residence has spacious and open floor plans with high ceiling highlights. 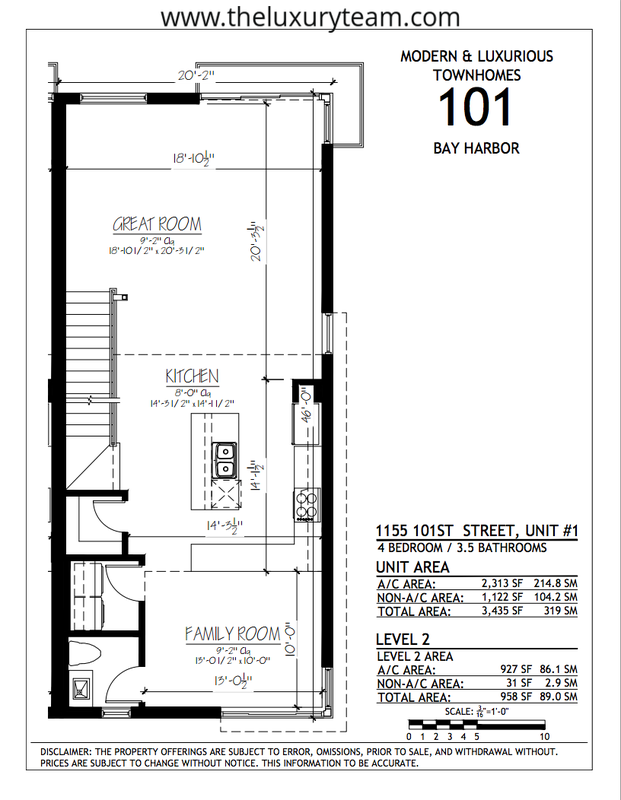 The exquisite 101 Bay Harbor residences are set up for smart home technology and wired for Wifi, giving residents control over appliances at the touch of a button. Luxurious kitchen islands and powder bathroom vanities can also be personalized from a selection of Quartz material and high gloss finished cabinetry. 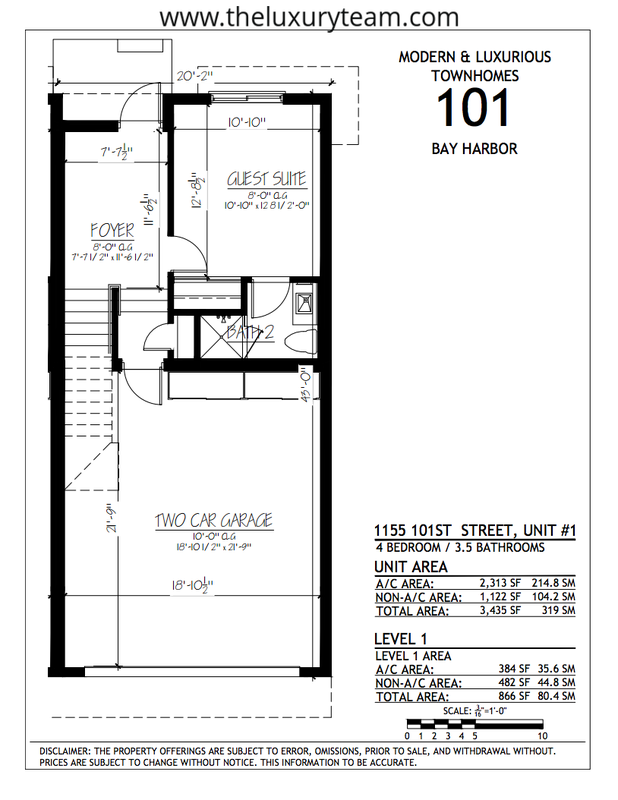 101 Bay Harbor residences each feature a master bath with oversized his and hers vessel sinks, plus frameless glass enclosed showers and a full size vanity mirror. Open staircases offer a state-of-the-art modern look and design, while clerestory windows bring in additional light. 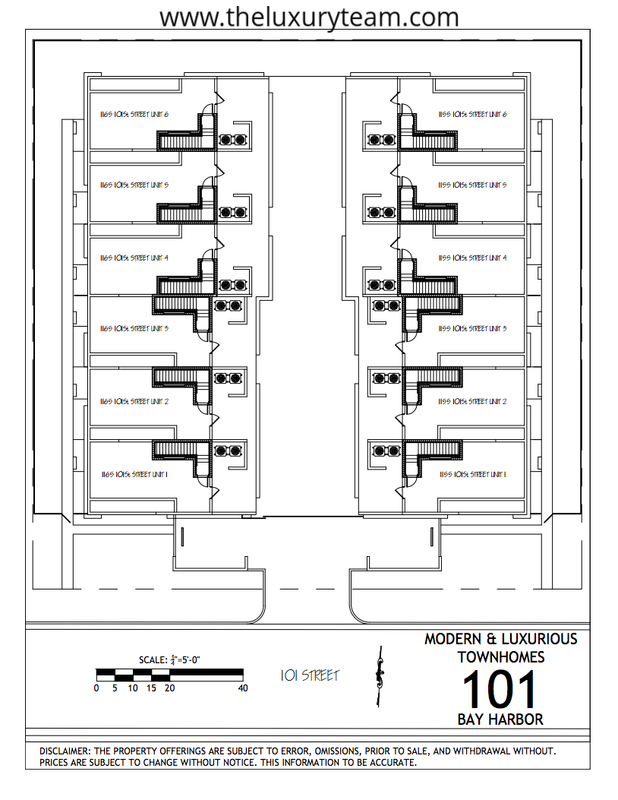 The kitchens in each residence have stainless steel appliances, roll out drawers and a breakfast bar. Bay Harbor Islands is located between Miami and Fort Lauderdale, and 101 Bay Harbor is conveniently built just minutes from two international airports, two seaports, and many other famous South Florida destinations. Just minutes from 101 Bay Harbor is numerous shops and restaurants along Kane Course or the world-famous Bal Harbor shops. The white sand beaches are also just minutes away and a walking path leads directly to Miami Beach, situated on the pristine Atlantic Ocean. Designed and built by The Puder Group, the modern and stunning residences at 101 Bay Harbor, are a once in a lifetime opportunity for any potential buyer.